The first Competition for the year was hosted by Kangaroo Judo Club (KJC) and ran smoothly, thanks to the host club and all the volunteers and officials. The Championships were preceded by a MONSters an Kyu Capers run by Kazoku Judo Club and supported by KJC. 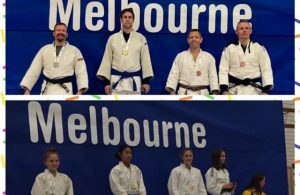 JudoSA had a good representation at this year’s Melbourne International Judo Open. The results can be downloaded below. 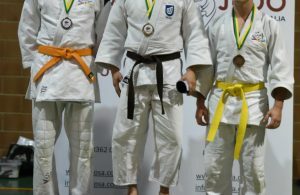 The State Titles last Sunday, hosted by Gawler Judo Club were a successful event. The Best Competitor Award for the day was judged by 5 Coaches and was awarded to Tara Hobby from Parafield Gardens Judo Club! Congratulations Tara! The $100 cash prize for the best tachiwaza ippon was also judged by the 5 Coaches, all from different Clubs, and was awarded to Nathan Freeman from Kangaroo Judo Club for his beautiful Ouchigari! Congratulations Nathan! SAIO 2018 on Saturday 13th October was a very successful event. Congratulations to all the players and medal winners for some excellent judo. Two players competed in both the kata and shiai. The Westminster School venue worked well again for the competition, accommodation and dinner after the event. JudoSA would like to thank all the dedicated volunteers, referees and officials for their contribution over the weekend. And a special thank you to our interstate players and parents who traveled over to Adelaide for the event. SAIO 2017 on Saturday 14th October was a very successful, friendly and efficient event. Congratulations to all the players and medal winners for some excellent judo. Three players competed in both the kata and shiai and medaled in both events! The Westminster School venue worked well for the competition, accommodation and dinner after the event. 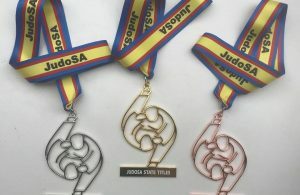 JudoSA would like to thank all the dedicated volunteers, referees and officials for their contribution over the weekend. And a special thank you to our interstate players and parents who travelled over to Adelaide for the event.